A super attractive and flexible Learning Den, for young children. 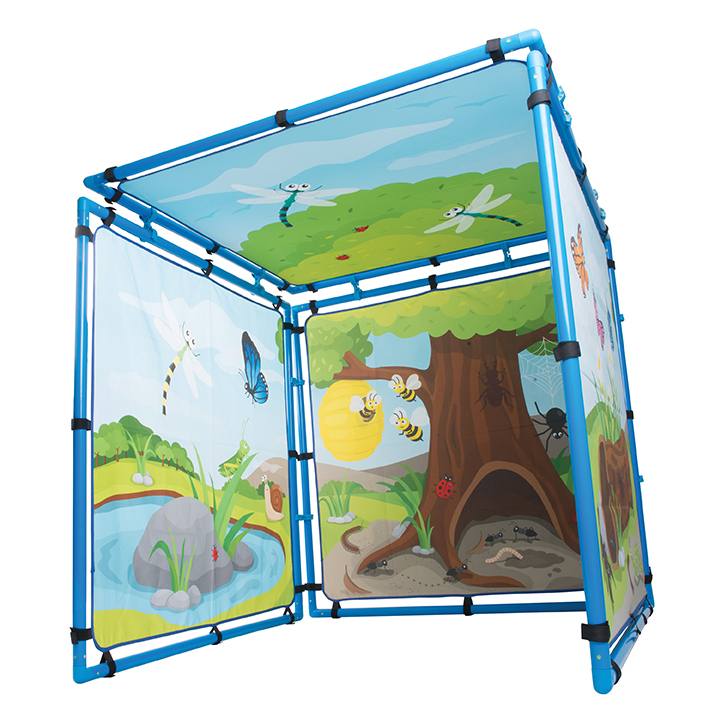 Panels can be joined to create a unique Learning Den environment in which children will thrive and be inspired. 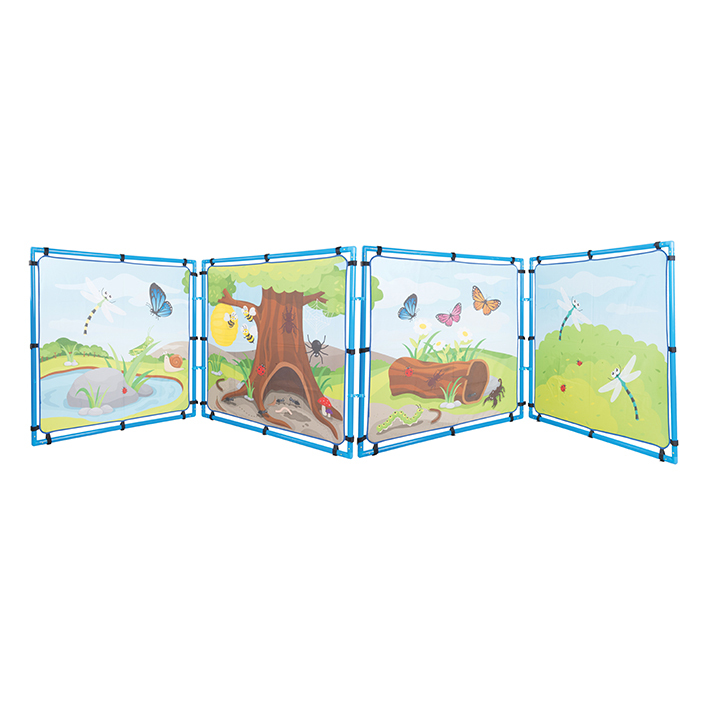 Four panels complete each set – if preferred the ‘roof ’ panel can be used as an additional side panel to create a wider panorama for play and discovery. Includes set of two feet as seen in picture. 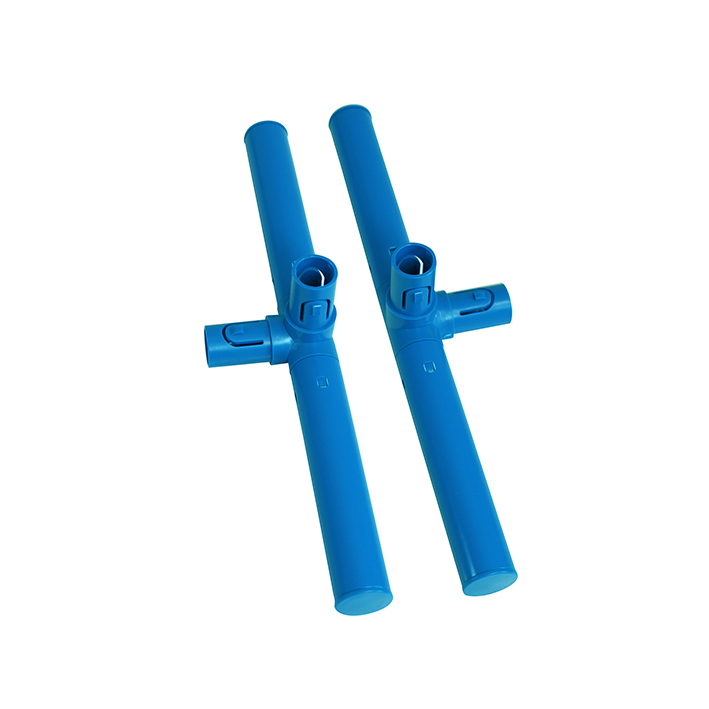 Manufactured from wipe clean vinyl and tough tubular plastic.